The PRP facelift (aka,Vampire Facelift) is a powerful tool to reverse the aging process. This has the potential to eliminate nasolabial folds, marionette lines, hollow cheeks, baggy eyelids, sagging and wrinkling skin. Unlike surgery, which simply "pulls the sheet tighter" the PRP facelift actually changes your skin on a cellular level in a positive way. The changes are permanent and can be renewed whenever needed without resorting to surgical treatment. If surgery has already been performed, or is planned in the future, the PRP facial will enhance the outcome. The genius of the PRP facelift is the way to combines different modalities for maximum outcome. The procedure starts with platelet rich plasma (PRP) micro-needling. Next is a targeted injection of PRP that have been enhanced by a calcium based molecule. This patented combination creates a "scaffolding" affect that maximizes the development of new blood vessels, fat cells and collagen to reverse tissue deficits. Since the PRP Facial stimulates your body to make its own new cells, the beneficial effects are permanent. However, your face and skin will continue to age as it normally would. Best results are achieved with periodic treatments. A repeat PRP Facelift can be performed as soon as one month after the initial treatment. Some clients with more extensive need will benefit from such a stacking treatment strategy. In other cases, treatments may be recommended once per year. Your best recommendation will be made at the time of your consultation. How long until I see benefit? You will notice some immediate improvement in your skin. Full benefit can take a month or longer to develop. 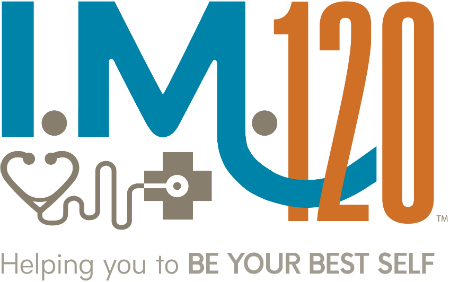 At I.M.120 we use a specialized topical cream to anesthetize the skin. There can be some minor pain associated with the procedure but most clients report any pain to be a 1 out of 10. Can you go back to work the same day? Your face will be red and irritated, there is a possibility that some bruising will take place. In most cases people feel comfortable going back to work the next day, it will depend on your circumstance. Adverse effects are rare with the vampire facelift but may include; infected skin, bruising, red and irritated skin, changes in color, and minor swelling may occur. The standard PRP facelift can be augmented by the addition of a specialized injectable dermal fill product. The fills are organic hyaluronic based products. The fill option is most helpful for people with greater tissue deficits, more extensive wrinkling, or a desire to augment lips or other parts of the face. The organic fill product will work with the specialized platelet rich plasma to create a powerful age reversing effect. The decision whether or not to add a fill product to your PRP facelift will be made at the time of your initial consultation and will be personalized to your objectives. The best time to begin is when you start to notice initial changes. This can be as early as late 20s depending on your genetics and your skin type. By starting early, greater skin preservation can occur with less intense and less frequent treatments. Is there a point where it is too late to benefit? In some cases of severe skin sagging or tissue atrophy, the vampire facelift may not achieve the goals you have in mind. In that case, it will be best to combine it with a surgical therapy such as a facelift or other modality. At your consultation a very honest and thorough assessment of your objectives, and our potential to meet them will be undertaken. At I.M.120 we have developed a protocol using injectable growth hormone boosters to enhance the effect of our anti-aging treatments. The protocol does not involve using growth hormone itself, but rather uses a daily injection of the hormone that stimulates your body to produce more of its own growth hormone. The needles used are tiny and can barely be perceived as they are injected. The recommended cycle of treatment is for 30 days. Vitamin C is a critical component in the formation of collagen. By giving high dose intravenously, along with other collagen forming vitamins (such as biotin) and supplements, the effect of your treatment can be enhanced. The intravenous boosters are safe and painless. They take about 30 minutes to infuse.